What do you do when POS hardware fails? Don't settle for sending it away for repair! This optional warranty upgrade means Aniluin will ship a replacement device to your customer in the event of a warranty failure. 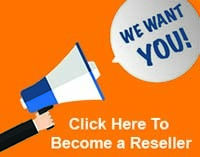 For pricing, terms and conditions and more, please refer to the AWR program product category on our web site, available from this link -http://www.aniluin.com/product/show-product-front.html.